Sindh Assembly Election Result 2018 – The provincial Assembly of Sind is the house of elected representatives for the province. It is established under the constitution of Pakistan Article 106. The total number of 168 seats is allocated for the Sind Assembly through direct vote, out of which 29 seats are reserved for women and 9 seats for non-Muslims. The Sindh Assembly first session took place from 27 April 1937 to 1945. The 12th Provincial Assembly of Sindh has been recently dissolved after completing its elected term of 5 years on 28 May 2018. Caretaker provincial government took over till the next provincial assembly is elected. For being elected as the member of Sindh Assembly, a person should be a citizen of Sind and an adult age of at least 25 years and a registered voter. Member of the Sind Assembly should possess good morals and character. He/ she should have command over Islamic laws and teachings, must have never been convicted for any crime, and should have never worked against the integrity of Pakistan. Disqualification of the members took place under Article 63, 63A, 113, and 127. Any involvement in illegal activity, misconduct, and seizing the citizenship of Sind are some of the common reasons that can result in disqualification of Sindh Assembly membership. The major functions performed by the Sind Provincial Assembly are to make laws and regulations under Article 141 and Article 142. The Sind Assembly is also responsible for management of the operations of the province under Article 123 (3). Another significant function of Sind Assembly is to monitor the policies and practices of the Government under Article 130. The Sindh Assembly also approves provincial budgets, commencement of the sessions etc. Since the 2013 elections, Pakistan People’s Party emerged as the largest party of Sindh, with a majority of 91 seats. They were followed by MQM (51 seats), and PTI secured 4 seats. Pakistan Muslim League (F), PPP's perennial rival in Interior Sindh, held 11 seats. Peoples Party was able to form the government for the ninth time in the province. Qaim Ali Shah was elected as the chief minister for the 3rd time and remained at the position till 2016, when he was replaced by Syed Murad Ali Shah. MQM splited due to internal rifts with Altaf Hussain’s anti Pakistan speech in 2016. The party splited into MQM- Pakistan and MQM – London. MQM – Pakistan is led by Dr. Farooq Sattar, and MQM London by Altaf Hussain. On the other hand, Mustafa Kamal formed Pak Sarzameen Party on 23rd March 2016 to compete against MQM – Pakistan. MQM- Pakistan is further subdivided into Farooq Sattar’s led MQM Bahadurabad, and Amir Khan led MQM – PIB. The reason for the split is due to the differences over the allotment of Senate tickets. For the upcoming Sindh Assembly Election 2018 there will be eight main political parties competing fiercely against each other to win maximum provincial assembly seats. These parties include PPP, MQM Pakistan, MQM – Bahadurabad, MQM – PIB, PSP, and PTI. Pakistan Tehreek e Insaf is all set to give tough time to the other established parties of the province as it contest in NA – 247, 243, 248, and 249. There are over 130 provincial constituencies in the province. Sind Assembly Constituencies 2018 include multiple constituencies in Karachi, Hyderabad, Jamshoro, Dadu, Jacobabad, Ghotki, Larkana, Nawab shah, Sukkur, Shikarpur, Mirpur Khas to name a few. Election Commission of Pakistan has finalized 25th July 2018 for the commencement of General Elections 2018 in the country. This page comprise of details related to Sindh Assembly Election Result 2018. The election for each constituency is held on a different date. As soon as the election starts and the result for each constituency are finalized, it will be available for the dedicated visitors. Sindh Assembly Election Result 2018 for each constituency is equally important. 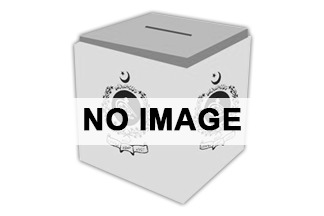 Find all the details of Sindh Assembly, Election Results, candidate’s details, party position, election campaign & constituency report and previous results of 2008, 2002, 2013, 2018 of Sindh Assembly.